This is the fifteenth CD by Carlo Actis Dato for Leo Records. With Carlo on baritone & tenor saxes, Beppe Di Filippo on soprano & alto, Matteo Ravizza on bass and Daniele Bertone on drums, "Sin Frtonteras" offers 10 compositions (total duration over 66 minutes) full of exuberance, sun and fun - the atmosphere of happiness that Italians can convey better than anybody else. All ten pieces on the CD have been composed by Carlo Actis Dato. 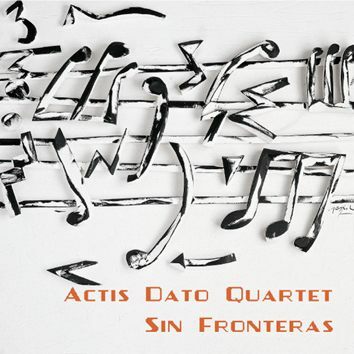 As the title suggests, this is music "without borders."